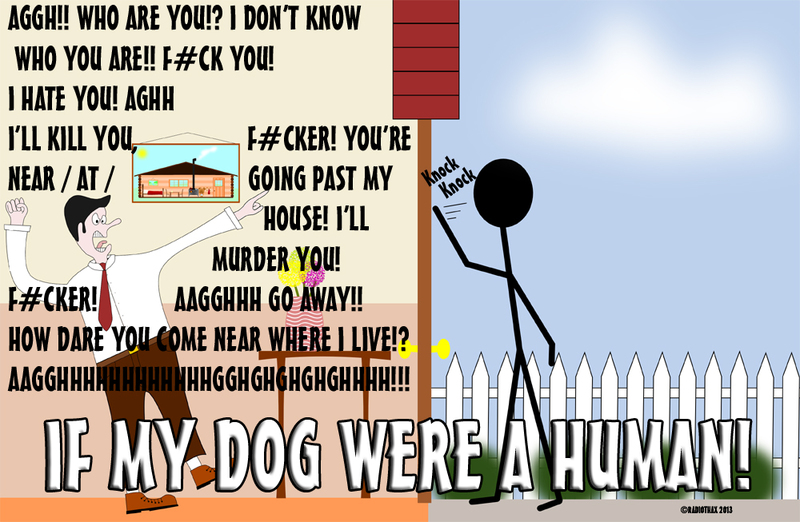 My dog does not take kindly to people coming to the house, knocking on the door, walking past the house, thinking about the house, drawing a picture of it or thinking about it in some kind of metaphysical state! God help them if they post anything! Your dog has just eviscerated the Postman for bringing me Mother’s Day cards – well she would’ve if the door had been open.